Having buyer's remorse for your photography gear is the worst. You think you've found something that'll be a great addition to your kit (often at an unbelievable price, right? ), only to find that the deal you thought was so great was actually a huge mistake. It happens with every type of gear you can think of - cameras, lenses, tripods, filters, and even camera bags. It's that last one, though, that I find so many photographers neglecting. It never ceases to amaze me when I see someone pull a nice camera body with a good lens out of a regular messenger bag or a backpack - having just had their gear jostling around in a bag that wasn't intended to transport photography gear - at least not safely, anyway. But I understand - to an extent - why some photographers do this. I think for one, some photographers just don't think it's worth it to have a camera bag when they have one or two bags at home already that "will work just fine." I think the bigger issue, though, is that there's just so many bad camera bags out there that too many photographers have had a terrible experience. There's just been too much buyer's remorse that it's hard to pull the trigger again. In that spirit, I thought it'd be best to go through a few sticking points that cause camera bag buyer's remorse and demonstrate that there are indeed camera bags out there that break the mold and provide photographers of all types with a great experience. To do this exercise, I'll be referencing several new models by Vanguard in their Alta line - the Rise 33, the Fly 48T, and the Sky 51D. I'm using these bags for one simple reason - they are brand spanking new models from Vanguard, a company that has really stepped up its game in recent years to make some of the best bags on the market. 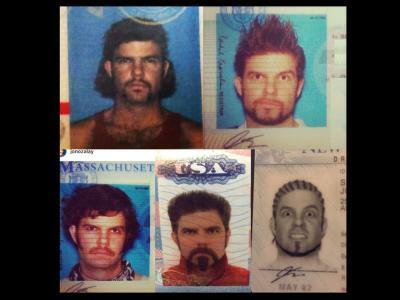 Plus, these things are just stinking awesome! I fully admit that I've bought some cheap bags in my day. But that's not the case today. It felt great finding a bag at a bargain basement price, but I found that the bargain basement price was indicative of the build quality of the bags I was buying. I don't treat my gear badly, but even after a couple of months, those cheap bags began to fall apart. The solution, of course, is to get a bag that's well-built and that has a reputation for being long-lasting. Enter the Vanguard Alta Rise 33. 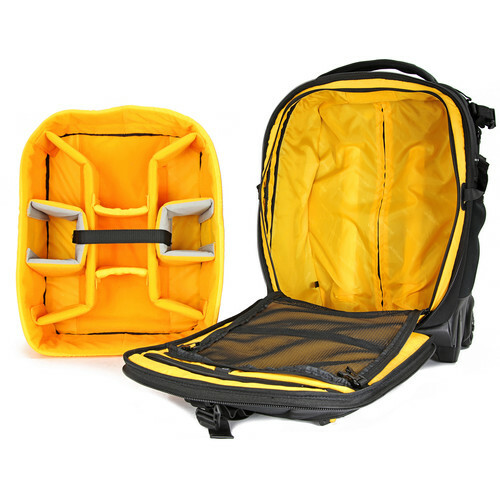 Not only is this thing well-padded to keep your gear in place and protected from bumps along the way, but it also has a well-padded shoulder strap so you can carry it in complete comfort. What's more, the shoulder strap is anti-slip, so you won't have to be one of those photographers that are constantly adjusting their cheap messenger bag on their shoulder. The Alta Rise 33 has other handy construction features that make it among the best available. There's dedicated pockets to keep all your essentials in the right place, including a safe storage pocket on the rear of the bag so you can easily store and access your driver's license, wallet, money, and other important items. When you inspect this bag, you also notice how beefy the zippers are. They feel solid in your hand but are a breeze to open and close. There's feet on the bottom of the bag too, that way you can set it on the ground without fear of the bag getting dirty - or worse - wet. Speaking of wet, this thing is completely covered with a rain cover, so even if you're out shooting in less-than-ideal weather, the Alta Rise 33 is so well-constructed that your gear will remain safe, sound, and dry as a bone. In short, not only does this bag look well built, it feels well built too. Just a few seconds of holding it in your hands and checking out its features will let you know that this will not be a bag you regret buying. Trust me - I know! Traveling is no cup of tea these days. Just ask anyone that flies very often or anyone with a ton of photography gear to carry around. 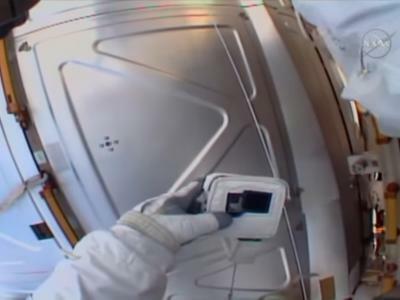 It's a dicey situation when you have to check your bags full of your gear. You never know if your checked bags will make it and what condition they'll be in when they arrive. But as I've experienced before, some camera bags don't even make it to the airport unscathed. I've had travel camera bags - the ones with a retractable handle and wheels so you can easily pull them - fall apart before I had the chance to even travel. I've had handles break. Wheels get jammed. You name it. What's the point of a travel camera bag if you can't even travel with it?! 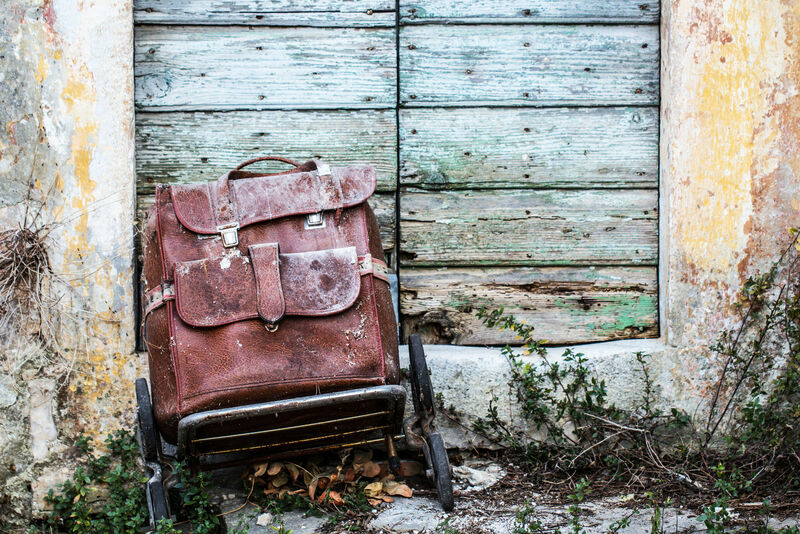 If you travel a lot - heck, even if you travel only periodically - having a well-built travel bag can make all the difference in the world. For me, the best option is the Vanguard Alta Fly 48T. 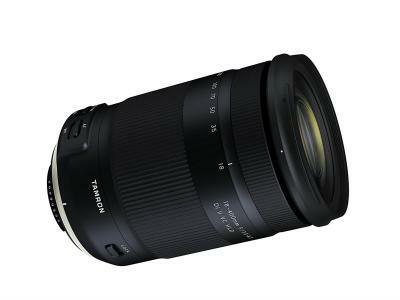 This bad boy is just about the best thing that could happen to a traveling photographer. It's got beefy wheels for easy maneuverability and transport as you travel, as well as robust padding all the way around, so you're sure your gear is protected even if you have to check it. That means your one or two cameras, 5-7 lenses, your laptop and tablet, tripod, and other accessories will be safe and sound in the overhead compartment above you. 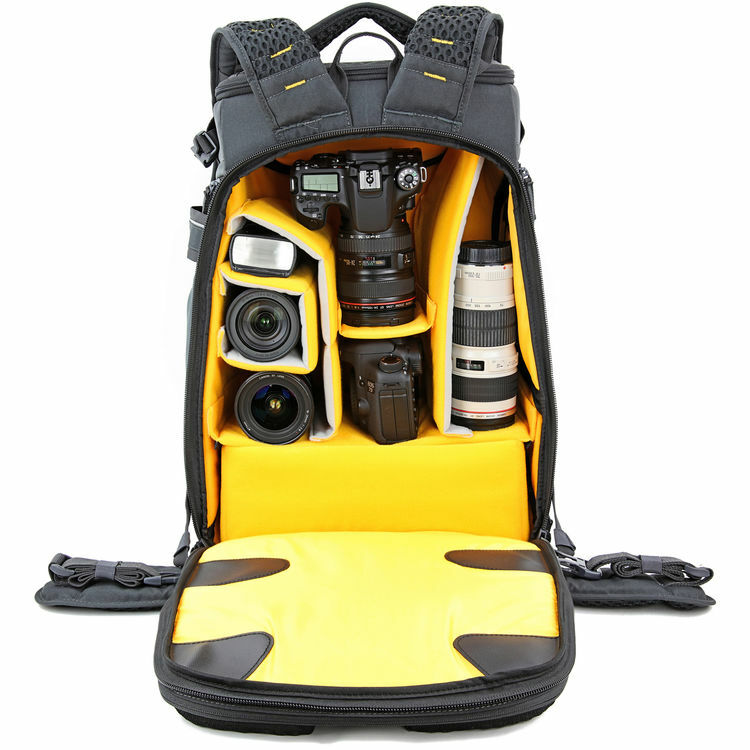 Or, if you prefer drone photography, this bag can accommodate your UAV and related accessories just fine. Another feature that makes this an ideal travel companion is its unbelievable level of organization. There's pockets, organizers, and connectors of all sorts and types, so you're sure that no matter what gear you carry, it'll be safe and secure. And, if you need, you can remove the interior divider compartment to use the bag as traditional luggage. Add in a rain cover to keep out moisture and a three security point system to prevent unauthorized access, and you've got one awesome camera bag in the Alta Fly 48T! I've bought bags before that seemed like a perfect fit when I was in the store. I did my due diligence and inspected the construction, played with the zippers and buckles, and carried it around to make sure it was comfortable. The inside of the bag was dark. I hadn't even noticed when I was at the camera store under their bright lights, but once all that bright light was gone, so too was my ability to see inside the bag. Why camera bag manufacturers persist in lining their bags with dark materials is beyond me! Vanguard does it right with all their bags in the interior department. Each one has a bright yellow lining that makes it easy to see what's in your bag. One look at the images above and below, and you can see just what a difference that bright yellow interior can make! 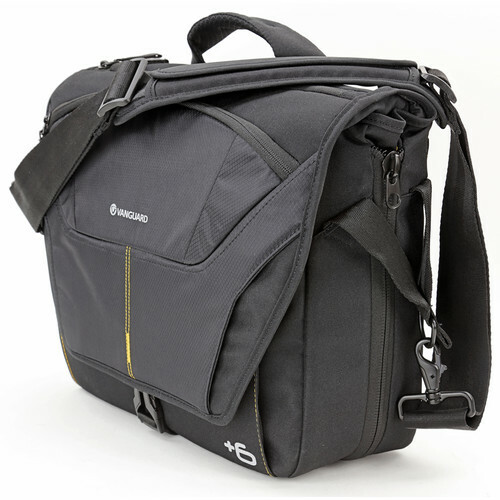 But beyond the ease of finding what's inside, the Vanguard Alta Sky 51D is the ideal camera bag for on-the-go photographers because it was made to travel. It's a backpack, so when you're bouncing from one place to another, you can comfortably - and safely - carry your gear. That's due to the ergonomic Air System back, which keeps you cool and comfortable. With a harness and waist belt, you can more easily distribute the weight of the load across different parts of your body too. 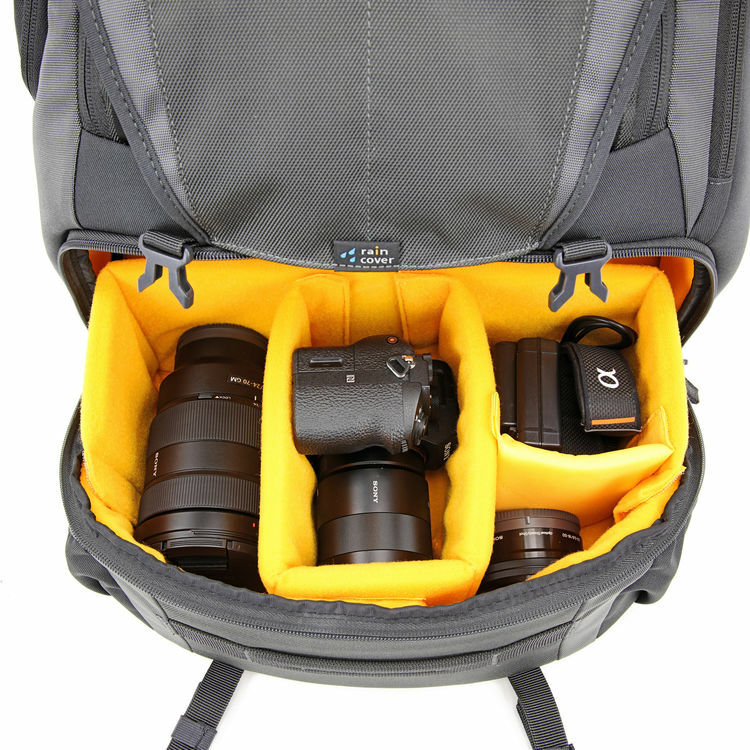 The Alta Sky 51D has rear, side, and top access, so you can grab your camera, a different lens, or another accessory with ease, and without having to unpack the entire bag to get what you need. That bright interior helps you get what you need fast too! There's also side pockets for water bottles for long day trips, and the double security buckles help ensure that your gear stays safe, even on the bumpiest of rides. 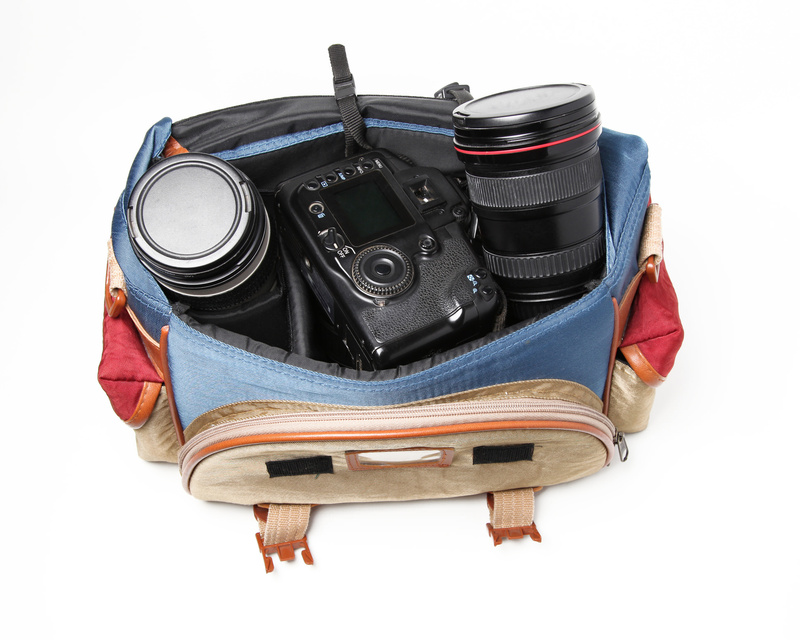 This is a highly versatile camera bag as well. It has a 1/3-2/3 dividing system that allows you to determine how much capacity you need. 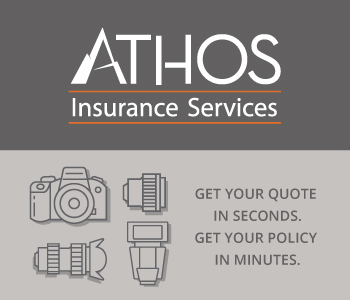 You can carry one or two DSLRs with lenses attached, 3-4 additional lenses, flashes, and other accessories as well. You can even configure the bag to carry a drone and its related accessories. 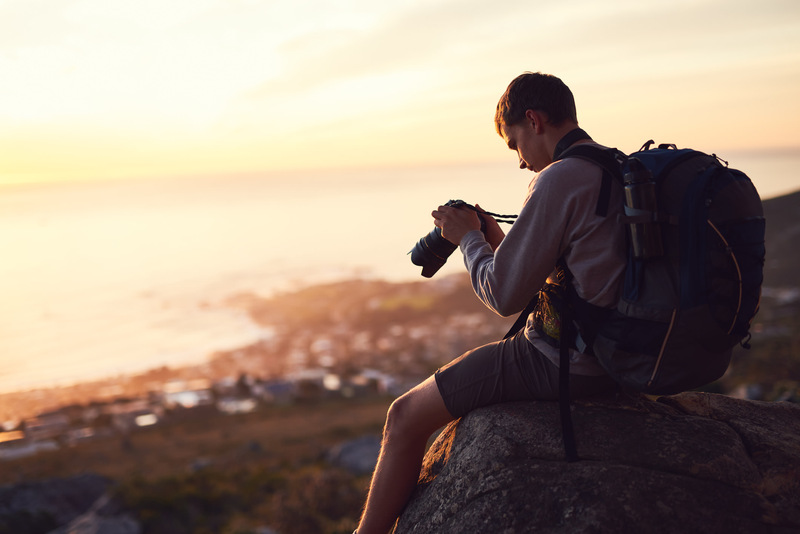 Better still, the Alta Sky 51D can easily convert to a traditional backpack - use it as a carry-on when you're traveling without your camera gear, or use the innovative dividing system to carry 1/3 camera gear and 2/3 personal items. Whatever you need! The Alta Sky 51D just looks and feels as solid as a rock. It only took me a few seconds to realize that this was the travel bag for me. In short, Vanguard knows exactly what they're doing when it comes to camera bag design and construction. These things are well-built, easy to carry, and highly versatile - features that you can immediately see when you pick one up and handle it for the first time. 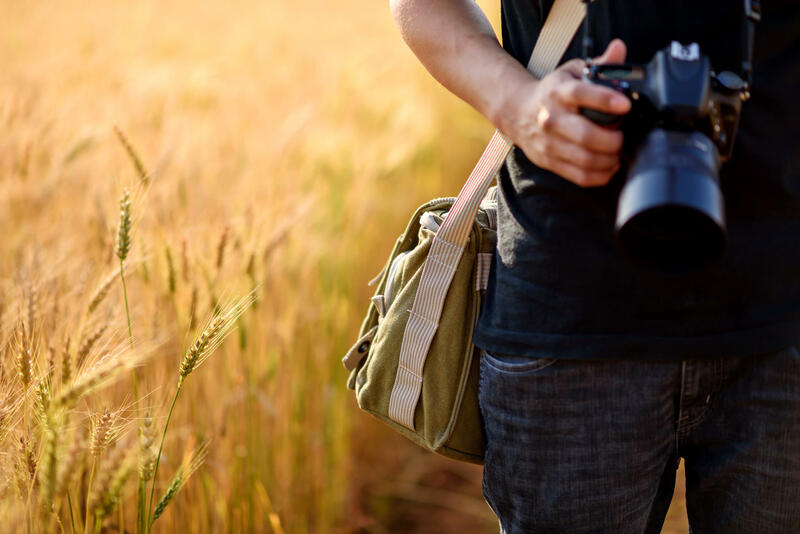 If you want to avoid the dreaded feeling of buyer's remorse, don't opt for a cheap camera bag that'll fall apart and cause you undue stress. 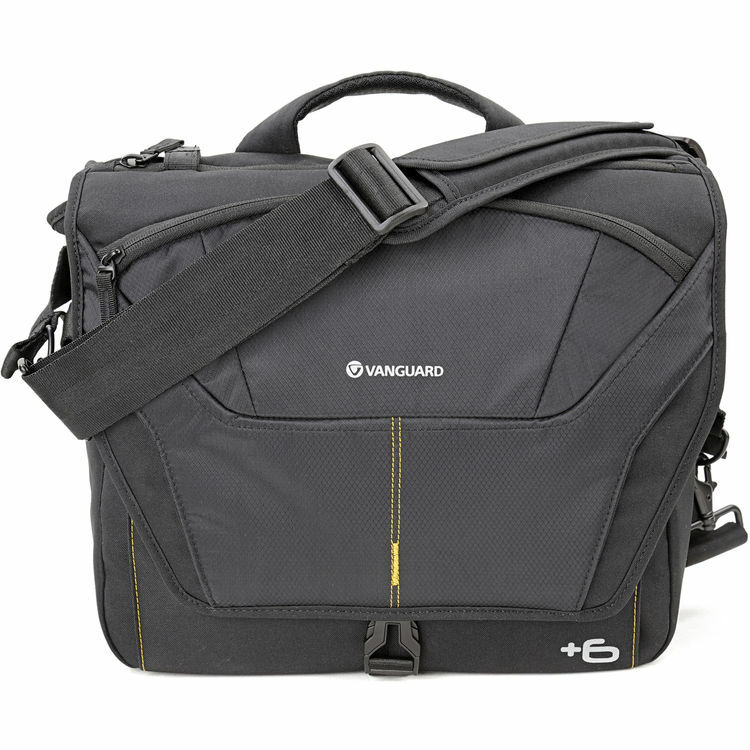 Opt instead for the industry leader - Vanguard - for a top-notch camera bag that will last you as long as your camera and lenses!